Counting more than half a billion individuals and over 70 different breeds, cats are the world's most popular pets. Even though they are curious animals who like to explore and hunt, cats are also a truly social species. 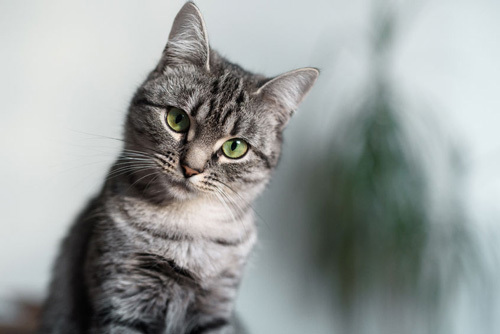 They communicate with humans through mewing, purring or sometimes grunting, and it is possible to even learn cat-specific body language to better understand their needs and wishes. The history of domestic cats started in ancient Egypt 4000 years ago when the African wild cat was domesticated to control vermin (small animals that are considered harmful to plants or other animals). Since these first cats helped control the rat population, which reduced diseases and deaths among the Egyptians, they became a sacred animal and were worshipped like gods. 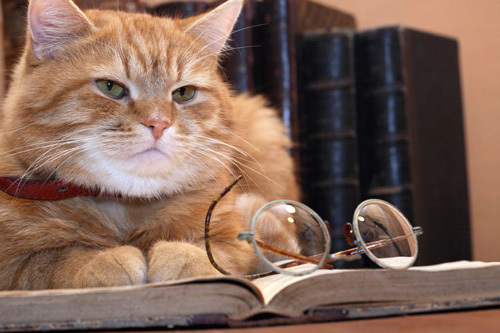 Later on, cats were sold to the Greeks and Persians. In 500 BC, the first domesticated cat was given to China, where many new breeds quickly developed. When Christopher Columbus discovered America in the 15th century, the cats from his ships were left there and they multiplied. These cats are now known as the American Shorthair, originating from the British Shorthair which accompanied the explorers. One of the oldest breeds in the world, the Siamese were introduced to Europe through England as the Royal Cat of Siam (now Thailand). 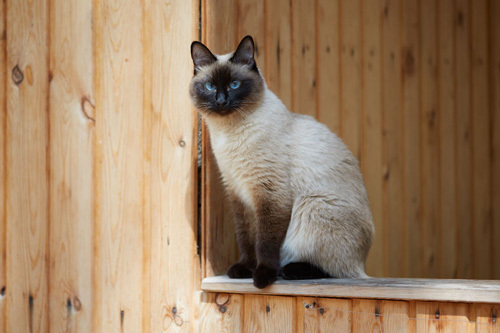 Siamese cats are endlessly curious, and require a lot of attention, so they are good for people who can afford to spend time playing with them. They always seek new hideaways in and around the house, and they even seem to be enjoying watching television. As a breed, Siamese cats are great at learning tricks. They are also eager to show their owners how to do exactly what they want them to do. Being incredibly pretty, the Siamese are frequently portrayed in movies, including some of the most famous animated ones like 'The Aristocats'. Originating from the Indian Ocean coastline, this beautiful cat resembles a lot to the African wild cat. Abyssinians enjoy climbing up to high places, and exploring every corner of the house. Sometimes, they are even called 'Aby-silly-an', because they are so playful. Yet, they are also highly social, so they can be taught to go for walks on a leash – and actually enjoy it – like dogs. 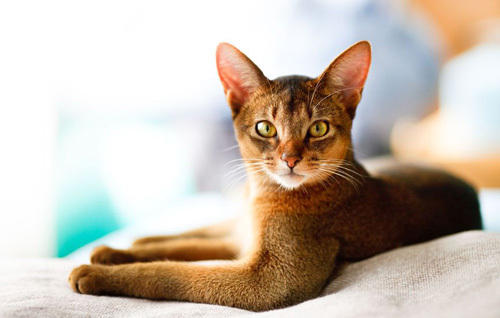 Abyssinian cats love to spend time outside and to bird-watch, so they are not a good match for people who are looking for a 'lap cat' - a cat to simply sit on their lap and sleep. Persian cats are probably the most popular cat breed in the world. There are two types of Persian cats: show and traditional. In comparison to the traditional Persian cat, the show cat has more extreme features, such as small ears and a flat nose. 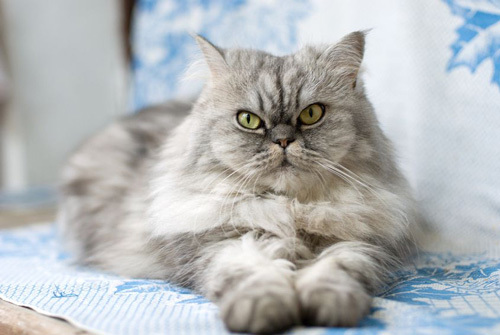 Unlike the Abyssinian, Persian cats are typical "lap cats", and have a very restful personality. They are not very demanding, and love to cuddle. As such, Persian cats prefer quiet families, but can be adaptable to bigger and noisier environments, too. These cats should be groomed every day since they fur is long. Tabby cats are cats who have lines or spots on their fur. They are not recognized as a breed, yet they are one of the most common cats. The orange ones have different features than, for example, grey Tabby cats. This particular cat inspired the cartoon character Garfield, an orange cat who loves to eat. In real life, orange Tabby cats also have a tendency to overeat and become very fat. You should be careful with them, because they are not picky and would eat anything, including baby food and dog food. 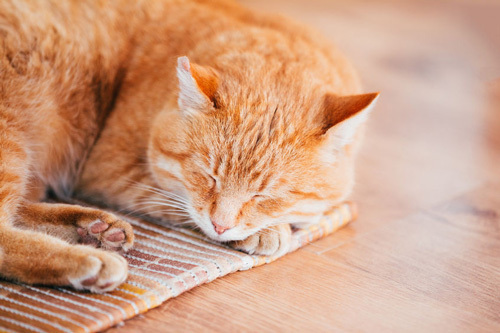 Orange tabby cats don't mind sharing the house with other animals, because it means more food for them. 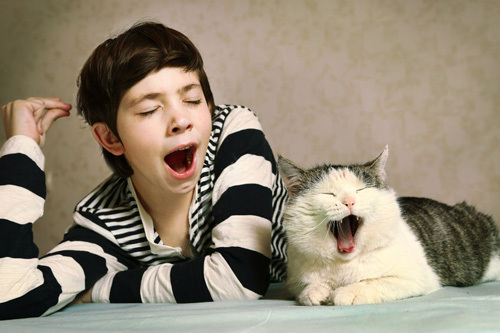 On average, cats sleep 16-18 hours a day. Although there is a common perception that cats love milk, most of them are lactose intolerant and should not drink cow's milk. While this is hard to notice in a closed environment, cats can actually run up to 30 miles per hour. They can also jump seven times their height. Cats' whiskers are not just for show. They serve to help cats navigate in the dark and detect objects. Touching each other noses in cat language means greeting, like when humans shake hands. Most cats are lactose __________, so they can't drink milk. Persian cats are adaptable __________ noisy environments. Persian cats have long fur so they should be __________ every day. The African wild cat was domesticated to __________ vermin. Cats' whiskers help them __________ in the dark. Orange Tabby cats have __________ to overeat. In ancient Egypt, cats were __________ like gods. Persian show cats have more __________ features than traditional ones. Whiskers are not just for __________. The British Shorthair __________ Christopher Columbus and other explorers. How do cats communicate with humans? Which cat is a typical 'lap cat'? Why did the Egyptians consider cats to be sacred animals? Who brought cats to North America? What are cats' whiskers for? Unlike many cats, the Orange Tabby cat hates fish. Unlike many cats, the Orange Tabby cat would eat anything. Surprisingly, the Abyssinian cats can be taught to walk on a leash. Although they are very playful, the Abyssinian cats cannot be taught to walk on a leash. "Persian cats are very active and need to be taken out for walks regularly." "Cats are very skillful animals which can run fast and jump really high."